What’s crude, rude and perfectly wearable? South Park and Kidrobot that’s what! 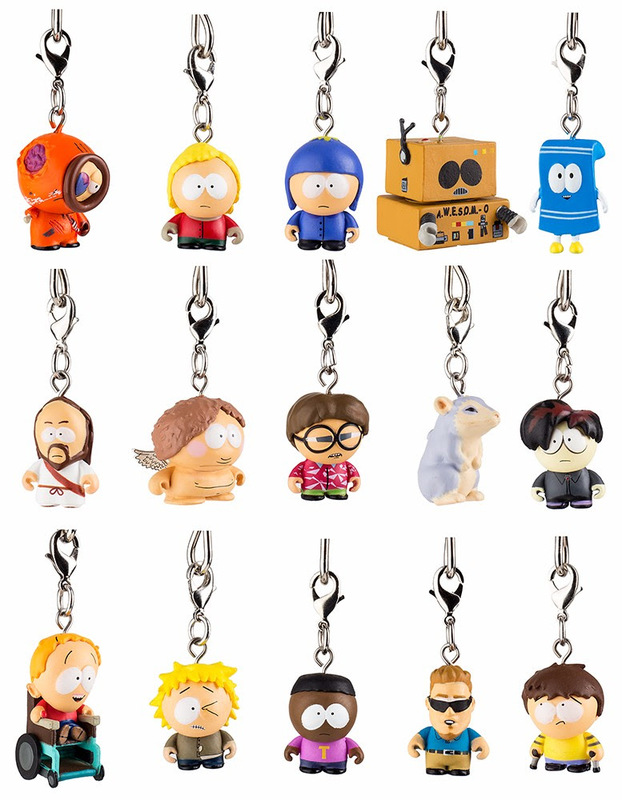 From the creative minds of Trey Parker and Matt Stone, Kidrobot and South Park have shrunk the gang to pocket sized for the South Park Zipper Pull Keychain Series 2. Featuring South Park classics like A.W.E.S.O.M.O and fresh takes on the supporting cast like Timmy & Jimmy. Coming with lobster clasp on a detachable ring this series is sure to add in your face are to any zipper or keychain you can think of. 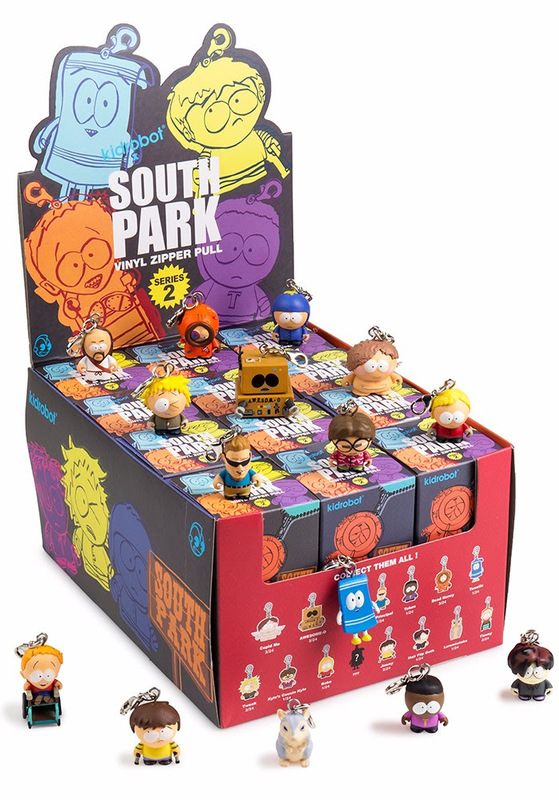 So come on down to South Park and collect the whole South Park gang!